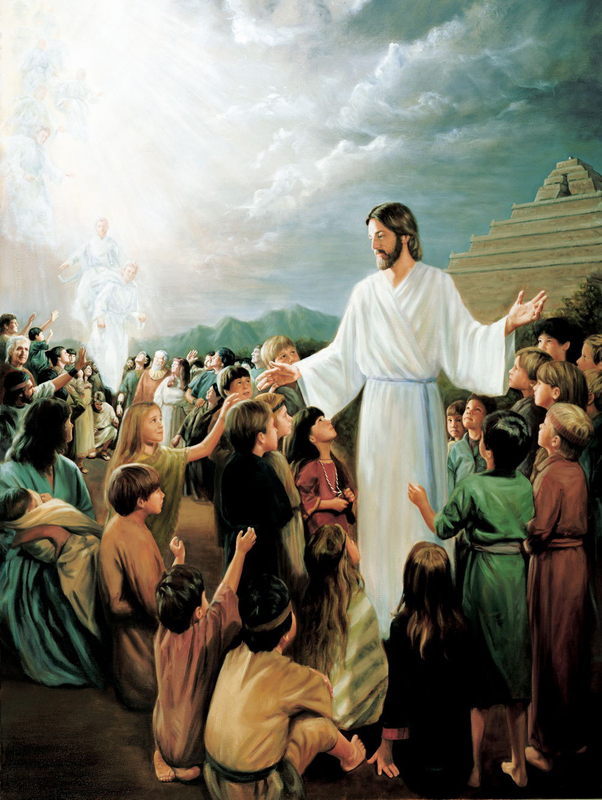 Why Are Children So Prominent in 3 Nephi? 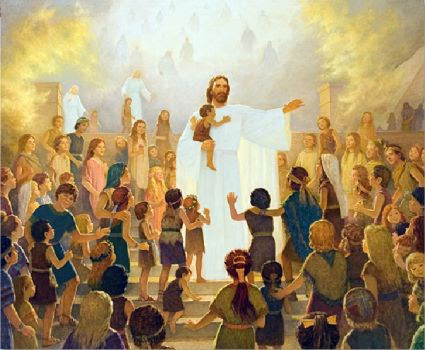 In 3 Nephi, Christ often focused on children, just as He did in His mortal ministry.1 He blessed them individually (3 Nephi 17:21). He talked about the importance of children in the Plan of Salvation (3 Nephi 26:2–5).2 He quoted passages from Isaiah (3 Nephi 22:13; Isaiah 54:13) and Malachi (3 Nephi 25:6; Malachi 4:6) referring to children, and He caused angels to encircle and minister unto them (3 Nephi 17:22–24). One reason why children appear so often in 3 Nephi may be that Mormon felt the people had become pure like children. In classic Ancient Near Easter fashion, Mormon makes this point by referring to King Benjamin’s speech on becoming as a child. The experience not only transformed how the parents saw the children, but it also changed the way they saw themselves. 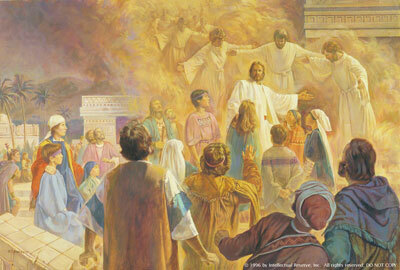 Shortly after this, the disciples of Jesus began to baptize people, and they also experienced things “which are not lawful to be written” (3 Nephi 26:17–18), just as the children had before. Finally, the people had become like their little children, as King Benjamin had said so many years earlier, and what Christ had reiterated only days earlier: “ye must repent, and become as a little child” (3 Nephi 11:37). The result of this hallowed moment is that both parents and children had experienced things that were too sacred to record.7 Such holy revelations must have related to the temple. 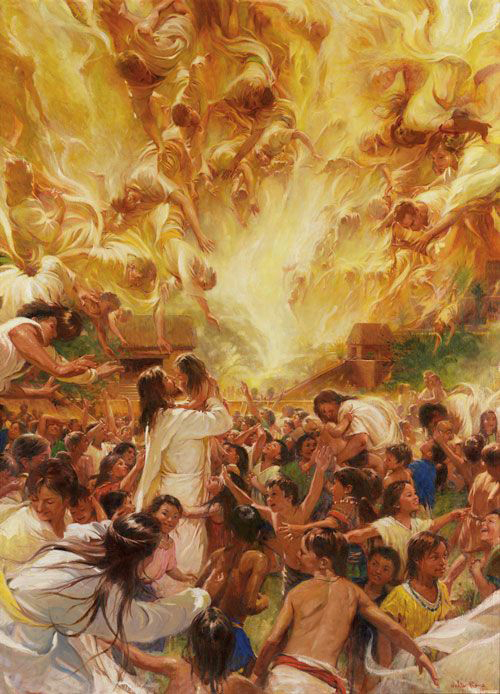 Perhaps the people and their children had glimpsed the eternal nature of the family and received the sealing ordinances to bind them and their children together both on earth and in heaven. As Mormon connected and compared King Benjamin’s speech with Christ’s visit to the Nephites, he emphasized the significance of children and of becoming childlike. One reason for Christ and Mormon’s emphasis on children was likely a very practical one, signaled to the reader by the allusion to King Benjamin’s speech earlier. 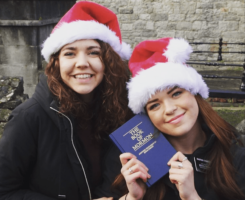 Mosiah 26:1 states that those who began to fight against the church were those “that could not understand the words of king Benjamin, being little children at the time he spake unto his people” (Mosiah 26:1). Children are central to Christ’s plan of salvation. It is only through becoming like children and submitting to the Father that God’s children can ever hope to have eternal increase. The Book of Mormon reminds its readers of the nobility of children and their importance in the plan of salvation. 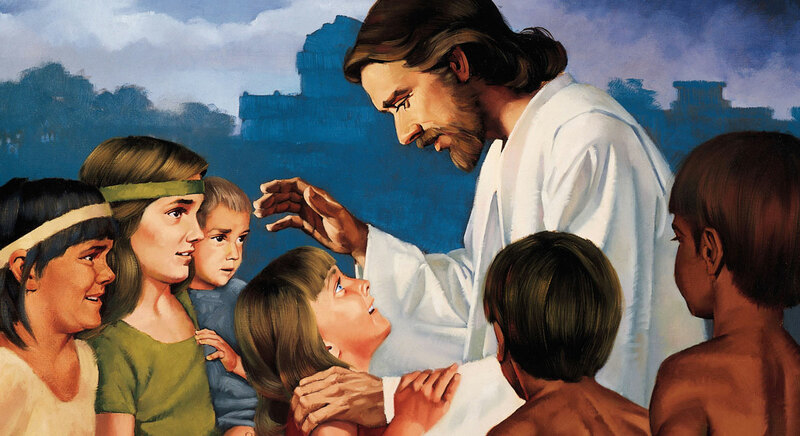 Christ’s interactions with children teach all readers of the Book of Mormon to see children for who they really are, and as each person becomes more like a little child, helps each person to see themselves for who they really are and the eternal potential of all people. Lynn G. Robbins, “The Righteous Judge,” Ensign, November 2016, online at lds.org. Robert A. Rees, “Children of the Light: How the Nephites Sustained Two Centuries of Peace,” in Third Nephi: An Incomparable Scripture, ed. Andrew C. Skinner and Gaye Strathearn (Salt Lake City and Provo, UT: Deseret Book and Neal A. Maxwell Institute for Religious Scholarship, 2012), 309–328. M. Gawain Wells, “The Savior and the Children in 3 Nephi,” Journal of Book of Mormon Studies 14, no. 1 (2005): 62–73. 1.See, for example, Matthew 19:14; Mark 10:14; Luke 18:16. 2.For more on the connection between Christ’s statement and the children, see Kent P. Jackson, “Teaching from the Words of the Prophets (3 Nephi 23–26),” in Book of Mormon, Part 2: Alma 30 to Moroni, Studies in Scripture, Volume 8, ed. Kent P. Jackson (Salt Lake City, UT: Deseret Book, 1987), 204–205. 3.See H. G. M. Williamson, “Isaiah 62:4 and the Problem of Inner-Biblical Allusions,” Journal of Biblical Literature 119 (2000): 734–739; Yairah Amit, Hidden Polemics in Biblical Narrative, trans. Jonathan Chipman, BibInt 25 (Leiden: Brill, 2000), 42. 4.For more on repeated themes and images as they run through the Book of Mormon, see Ronald D. Anderson, “Leitworter in Helaman and 3 Nephi,” in Helaman through 3 Nephi 8, According to Thy Word, 241–249. 5.The parallels with King Benjamin’s speech continue throughout the chapter, as those who were baptized in the name of Christ were called after His name (3 Nephi 26:21), just as King Benjamin’s subjects took the name of Christ upon themselves (Mosiah 5:10). See Brant A. Gardner, Second Witness: Analytical and Contextual Commentary on the Book of Mormon, 6 vols. (Salt Lake City, UT: Greg Kofford Books, 2007), 5:573. 6.Lynn G. Robbins, “The Righteous Judge,” Ensign, November 2016, online at lds.org. 7.It is reasonable that these things could not be written not because they were too hard to explain but because they were sacred. When one compares these sections to 3 Nephi 26:11 and 14:6 it seems that Christ is following His own counsel to not to parade the sacred before those that are not prepared. This idea is strengthened when one considers the temple themes that run through this portion of the text, from washing through consecration. See John W. Welch, Illuminating the Sermon at the Temple and Sermon on the Mount: An Approach to 3 Nephi 11–18 and Matthew 5–7 (Provo, UT: FARMS, 1999). 8.M. Gawain Wells, “The Savior and the Children in 3 Nephi,” Journal of Book of Mormon Studies 14, no. 1 (2005): 70. 9.Robert A. Rees, “Children of the Light: How the Nephites Sustained Two Centuries of Peace,” in Third Nephi: An Incomparable Scripture, ed. Andrew C. Skinner and Gaye Strathearn (Salt Lake City and Provo, UT: Deseret Book and Neal A. Maxwell Institute for Religious Scholarship, 2012), 320–321. 10.See Book of Mormon Central “Why Did the Peace Last for So Long? (4 Nephi 1:16),” KnoWhy 225 (November 7, 2016). 11.Joseph Fielding McConkie, Robert L. Millet, and Brent L. Top, Doctrinal Commentary on the Book of Mormon, 4 vols. (Salt Lake City, UT: Bookcraft, 1987–1992), 4:171–172. 12.M. Russell Ballard, “Great Shall Be the Peace of Thy Children,” Ensign, April 1994, 59. The first picture is by Ted Henniger of Layton, Utah.